I'm one of those girls that is in love with love & has a particular penchant for the super cheesy & entirely made up holiday that is Valentine's Day. I can't help it! I've always embraced the celebration of cupid's arrow. Whether I was drinking box wine & loving on my girlfriends, or now that I've spent the past 4 Valentine's with my one & only. Crazy to think that this is our FIFTH! Pretty sure that I started sending Valentine's notes in kindergarten & haven't ever stopped. This year people will just be getting wedding invites… you know I'm counting it! But one of my favorite parts, picking out little notions of love for those that are close to me. They say (they being Carrie Bradshaw), "You've got to fall in love with yourself first"… so why not treat yo-self with a new pretty on 2/14? These are what's catching my eye… hint hint (seriously blogging makes gift giving way too easy for that man of mine!). 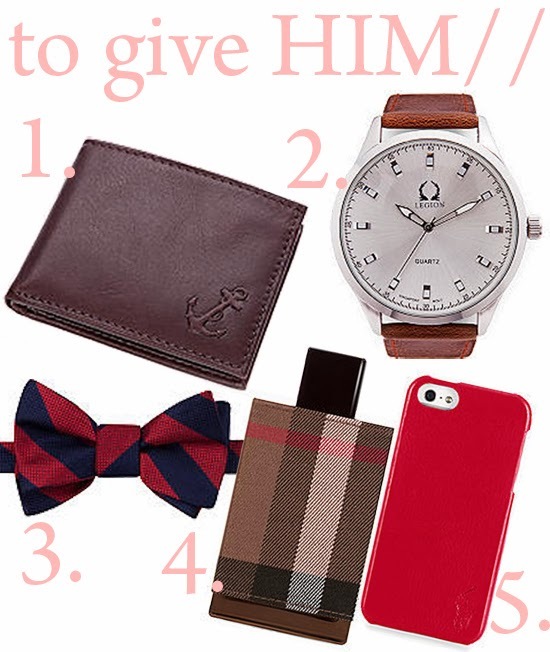 As far as gift giving for the man in your life, give him a practical little luxury. Something that he uses daily & will bring a smile to his face every time! And for the lady in your life, shower her with pretty baubles, glitter & glitz! Did anyone else have those message bracelets growing up? I'm totally ok with the fact that they are back in full force… now just to find where I put mine 10 years ago! Find everything for yourself, him & her on Belk's Valentine's shopping guide. This post was sponsored through a collaboration with Belk, but all reviews & opinions are my own. Thank you for supporting the businesses that make this blog possible! I'm crazy about the Coach bag. I was considering the all-black version, but this one is so much fun! It seems like V-day is just sneaking up on me - how is it already the last week of January?! Love the print of that Coach bag and that watch would be the perfect gift for my hubby! I love that Coach bag!! !